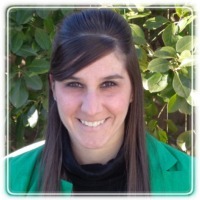 Amityville Therapist: Jaclyn Sullivan - Therapist 11701. Send A Message To Jaclyn. Session Fees: I am an in-network provider for BlueCross/BlueShield and Cigna. I also will provide you with an out-of-network reimbursement if needed and will work on a sliding fee scale. I offer flexible hours, including evenings & weekends. I am a licensed Marriage and Family therapist. I offer guidance and understanding to individuals, couples and families to support change, solve problems, and pursue goals by examining thoughts, feelings and behaviors. By joining with you and/or your family, I help to provide tools and effective strategies for achieving healthy and happy life styles. It is important to me to provide you with a safe, secure and comfortable environment. I work with children, adolescences, adults and couples. Therapeutic Approach: My therapeutic style involves an eclectic and collaborative approach. There are many different kinds of psychotherapy. Along the therapeutic process we will match the mode of therapy to your specific concern, need and preference. Everyone is different and unique in their own way. I work with you to tailor the counseling process and make it an enjoyable and effective experience. Biography: I earned my Masters degree in Clinical Psychology from Adelphi University and a Masters degree in Marriage and Family Therapy from Hofstra University. I have provided counseling for individuals, couples, children and adolescents in a broad range of settings including educational, home based programs, residential care and outpatient/inpatient facilities. I am trained and experienced in providing both short-term and long-term therapy. I have worked at a mental health program for children and families for ten years. I also have provide home health care counseling services for ID adults. I have previous experience working with couples and families at the Joan & Arnold Saltzman Community Service Center and experience working with children and their families through a therapeutic recreational program for youth with spectrum disorders.